My husband has a bad knee. Actually both knees are bad from playing football during his younger years, but it's his left knee that suffered more trauma. Several years ago, there was fluid buildup in that knee and it was removed to reduce the pain and stiffness. It did reduce the pain but sadly, it didn't go away. I guess it's something he has to live with because of his injuries. He finds it difficult to walk when there is pain and this happens often when the weather is cold. 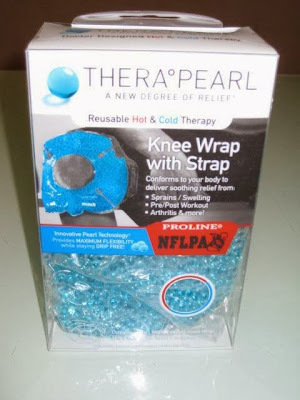 It's because of this that I decided to apply for the THERA°PEARL Knee Wrap review. 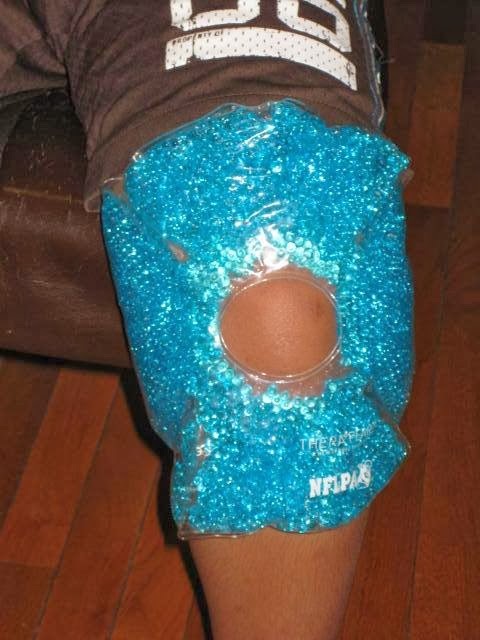 This hot and cold knee wrap would definitely relieve him from pain. 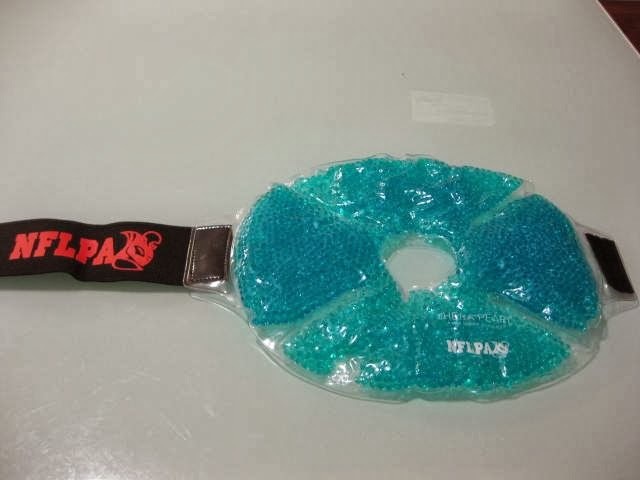 It's impressive that it can be used for both cold and hot therapy and as you can see in the photo, it has a large opening that sits over your kneecap so the user can still move freely. It comes with a flexible Velcro strap to keep the wrap comfortably in place even during a workout. Simply put it in the fridge or freezer for two hours if you want it cold or pop it in the microwave for one minute for penetrating heat. The wrap holds its therapeutic temperature for a full 20 minutes so you get fast, effective relief. As soon as my husband put it on his left knee, the throbbing subsided and after just a few minutes he felt better. Both my husband and I like that it works fast and is not messy at all unlike other remedies. It's soft, comfortable to use and easy to clean. You can simply wash it with soap and water, wipe it dry and keep it. I highly recommend this hot and cold knee wrap to anyone who suffers from aches and pain. You can kiss those frozen peas, ice packs or hot towels goodbye, this pack is what you need to keep the pain away.